Flyers' Dale Weise joined Jason Myrtetus to talk about how the Flyers will turn this rough stretch around. 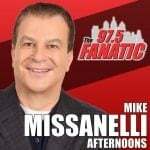 Flyers Head Coach Dave Hakstol joined The Mike Missanelli Show to discuss the progression of the young talent, the Flyers start and the home opener tomorrow night. 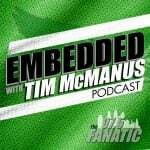 Tom Moore of Bucks County Times joins Zach Gelb touching on all 4 Philly teams, tune in!